One U.S.-based bike sharing startup just got a huge boost from a few major investors. 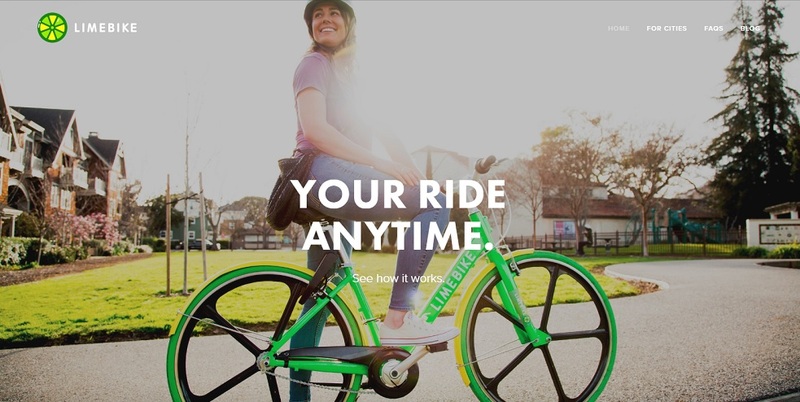 This company, called LimeBike, has successfully raised $12 million in venture capital from prominent investment groups like DCM Ventures, IDG Ventures, and Andreessen Horowitz. Kiosk-free bike sharing is all the rage in major Chinese cities right now. A few of the more popular companies based in China include MoBike and Ofo. Both of these Chinese companies have begun to expand globally and have sent thousands of their GPS-enabled bikes to urban areas in Singapore, America, and the U.K. The main difference between bike sharing programs in China and in the USA is that Chinese bike sharing companies don’t penalize customers for not returning their bikes to a central dock. In the USA, however, most bike-lending companies require customers to return their bikes to a kiosk. LimeBike hopes to be at the forefront of introducing Chinese-style kiosk-free bike sharing into the American market. The LimeBike team has already begun trying to increase its brand awareness with the cycling community in the San Francisco Bay Area. Although LimeBike is quite distinctive with its bright green bike design, it will be entering into an extremely competitive market. There are a few companies in the USA that have already begun offering their customers kiosk-free bike sharing. Just a few of these companies include Social Bicycle, Zagster, and Bluegogo. LimeBike hopes to enter the Bay Area market sometime in April. All of the bikes designed by this company have GPS devices, 3G-connectivity, kickstands, solar panels, metal baskets, and foam core tires. LimeBike also has its own mobile app which customers can use to find and unlock bikes in the area. The startup plans on charging $1 for every 30 minutes of bike use. LimeBike’s founders, Toby Sun and Brad Bao, believe their experience with both the American and Chinese markets gives them a competitive advantage over other U.S.-based bike sharing companies. Sun told reporters that he has worked with prominent American companies like Tencent, Facebook, and Square to make as perfect a mobile app as possible. He also said that he’s spent a great amount of time studying how major Chinese cities like Beijing and Shanghai operate successful bike sharing programs. Jeff Jordan, a partner at Andreessen Horowitz, said that he believes this company is well-positioned to take advantage of numerous “mega trends” in the bike sharing industry. In particular, Jordan points out how LimeBike will be an attractive option for millennials who are more interested in traveling by bike than owning their own cars. When asked what the company would use this $12 million for, Brad Bao said that LimeBike intended on using the money to travel to various corporate headquarters, college campuses, and major U.S. cities to pitch their product and hopefully add more locations to their roster. Bao also hopes to use some of this money to collect reliable data on their Lime Bikes to point out the safety and superiority of the company’s products and services. Bike sharing companies in the USA have been facing a huge image problem in major cities across the USA. Most city and town officials believe that bike sharing could create huge traffic and public safety problems. This is why most big cities only do deals with bike rental companies that have designated kiosks. San Francisco actually passed a law requiring all kiosk-free bike sharing companies to have an official city permit before launching their program in the city. Officials in Frisco also said that bike sharing companies would have to pay fines if any of their bikes were found to be in hazardous areas. Other city legislatures could soon follow San Fran’s example. This wariness to accept bike sharing companies may be the main reason Motivate Co. is currently the largest bike sharing company in the nation. Motivate has been able to get into almost all of the major cities in the USA, which includes New York City, Boston, Seattle, Chicago, and Washington, DC, mainly because it requires all customers to return their bikes to a central kiosk. Believe it or not, there are even Motivate bikes in Toronto, Canada. While it might be an uphill battle for this latest bike sharing startup, LimeBike is confident of future success and growth in the U.S. market. LimeBike has its main headquarters in San Mateo, California.